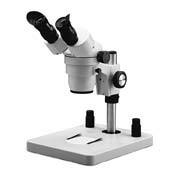 We have a large selection of stereo microscopes. 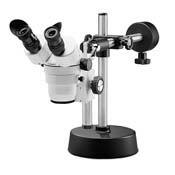 These are perfect for general viewing, inspection, dissection, or anywhere you need 3D viewing of relatively large items. 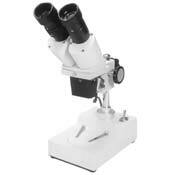 These have two separate optical channels which allow 3-dimensional viewing. 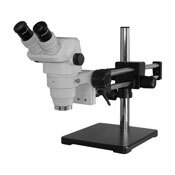 Also available are digital stereo microscopes which include a camera and software with various features including dimensional measurement. 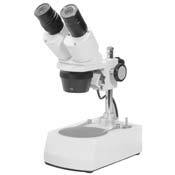 Optical designs include Single Magnification which have one fixed lens (often replaceable), Dual Magnification (turret) and Zoom. 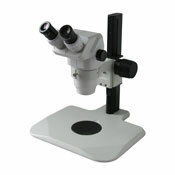 The Zoom style will usually have auxiliary lenses available that allow you to modify the magnification range up or down. 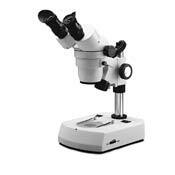 Most microscopes have optional eyepieces as well which also allow you to change the total magnification. 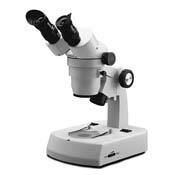 If you don't see what you are looking for please contact us, we have many models to choose from.